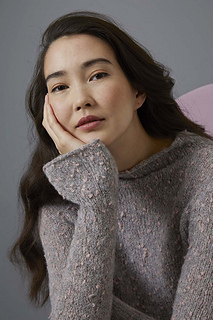 The pullover is knitted in the round up to the armholes. LANGYARNS FREYA (cotton, nylon, baby alpaca, new wool) 200/250/300/350 g - 4/5/6/7 balls of pink-light grey 997.0109. 1 long circular needle, size 5mm (US 8, UK 6).